What better way to kick off my site than with puppies!?! I don’t know about you, but I sure am a sucker for those cute four-legged creatures. I had the wonderful opportunity of shooting at one of the larger (no pun intended) Great Dane meet-ups in the area. There I met the sweetest girl, Cheyanne. I think she really enjoyed posing for the camera. I know I enjoyed capturing a really sweet moment for her owners to enjoy over the years. This entry was posted on March 2, 2011 by austinvividphotography. 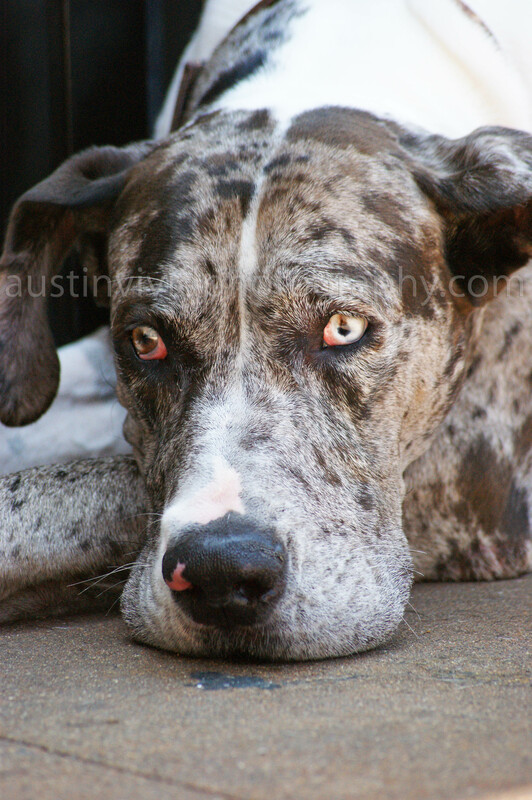 It was filed under Gallery, Pets and was tagged with Austin Meet-up, Great Dane, Pet Photography. Just cruised through all you pets shots. Great work. Do you have a website or gallery of other pet shots elsewhere? By any chance any couples with a rottie?